ACE 2017 opened with the keynote from Carol Graham (Brookings Institute, Washington DC) on well-being measures, which she helpfully applied to current developments in the US. It stimulated vigorous discussion and her framing of the issues was referenced by many of the subsequent presenters. Our other keynote Kip Viscusi (Vanderbilt University) on pricing lives raised some fundamental questions about the economic approach, which have surprising and important practical implications. Like Carol’s keynote it generated a vigorous discussion. 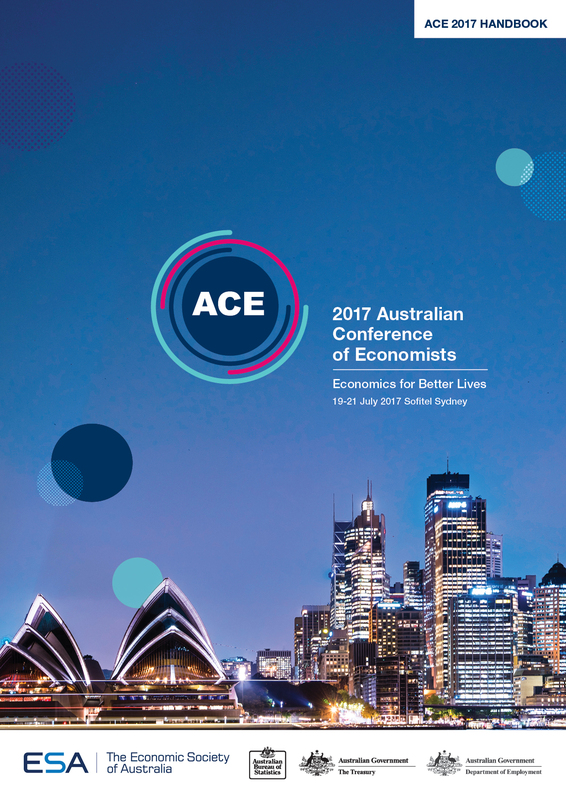 We had an array of special sessions including competition policy, the economics of mental health, economic growth prospects, inequality, behavioural economics and policy, the history of Australian economics, the outlook for financial markets (a joint session with Australian business economists), the economics of care, higher education policy and professional ethics for economists. The Women in Economics Network organised a stimulating session and met during the conference. We also had many high-quality contributed paper sessions. As usual, there will be a special Issue of Economic Record containing the keynotes and a selection of the contributed papers. The Conference was covered in the press, Professor Allan Fels' address on the contribution economics could make to mental health reform, and the session on higher education policy receiving particularly prominent coverage. Click here to see some of the media coverage. Click here for some conference photos. The Conference Dinner as always was a highlight. Awards were presented to Professor Alison Booth (Distinguished Fellow), Professor Warwick McKibbin, (Distinguished Public Policy Fellow) and Danielle Wood (Honorary Fellow). Our National President Matthew Butlin spoke about some of the challenges facing the Society following the session he chaired on the future of the economics profession in Australia. Thanks to all those who made this year's Conference a success. Next year's Conference will be in Canberra (10-13 July 2018) and for those who missed out on Sydney in 2017, I encourage you to consider contributing a paper or attending in 2018.